- 27km drive from our B&B, out of Plettenberg Bay. - 25 minutes by car. - Suitable for all ages. 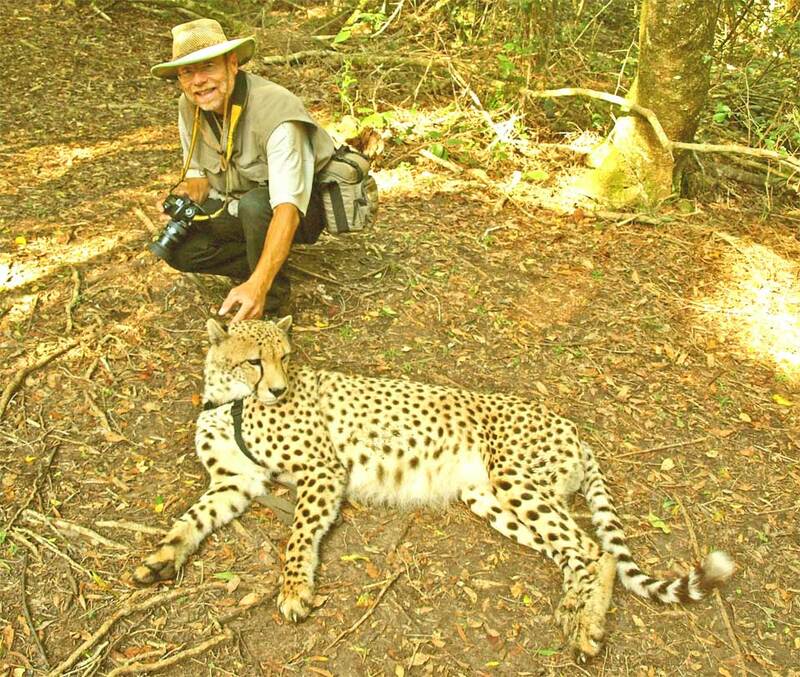 - You can choose between different guided tours and adventure packages with the little cats off Africa. 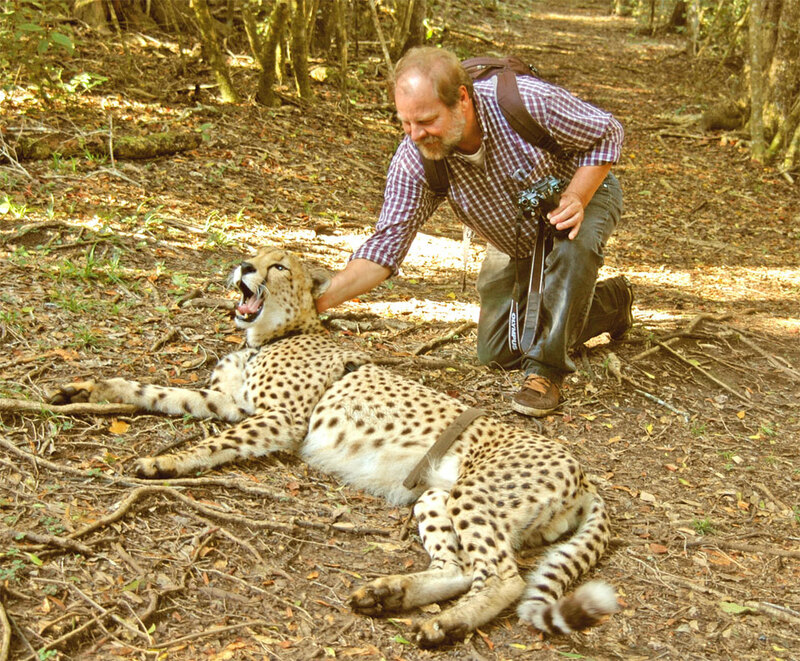 Like a Photographic Tour, a Crazee Cat Day – spend a day at Tenikwa or the cheetah walk in the morning and evening hours. 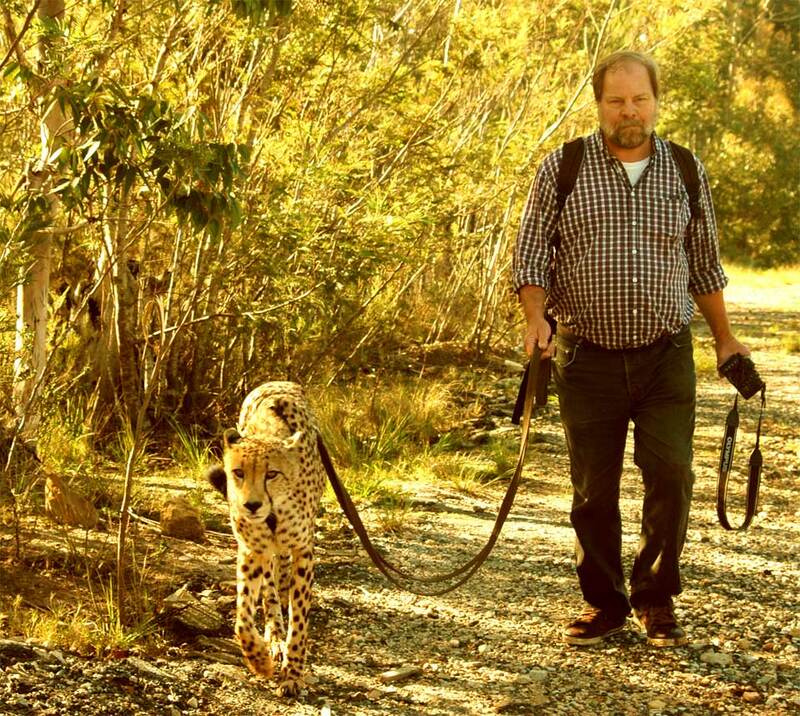 The cheetah cat walk must be pre-booked. - Tenikwa is as well an emergency place to find help for injured or orphan wild animals, they take them all, check and supply them with help and release them later in the wildness again. All this cost money and it is financed by the entrance fees of Tenikwa. With our entrance fees we do help by this projects and on top of that we do something good to helpless wild animals which came in trouble! At Tenikwa they will show and explain you the little cats of Africa (Black Footed Cat, African Wild Cat, Serval, Caracal, Cheetahs, Leopard). You will guided through the different enclosures and you learn a lot about this wild animals. You do have enough time to make nice pictures and to ask questions about the animals. It is a big areal and you are able to experiences some other animals. For example the huge Marabous. They look a bit scary with its skull-like heads. Furthermore you find at that place a big Meer Cat enclosure built up and you are able to observe them and you are able to take nice pictures. 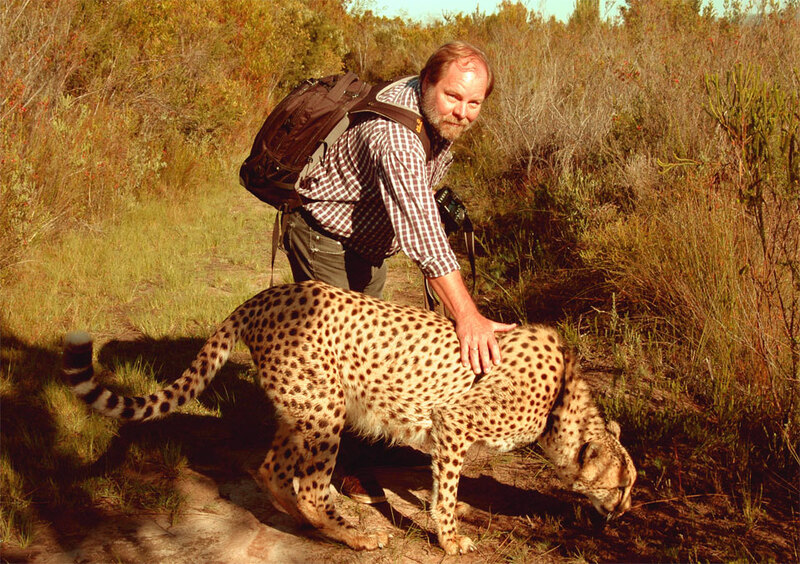 The cheetahs are raised by hand and they are quite relaxed in contact with human, as it is possible for a cat. 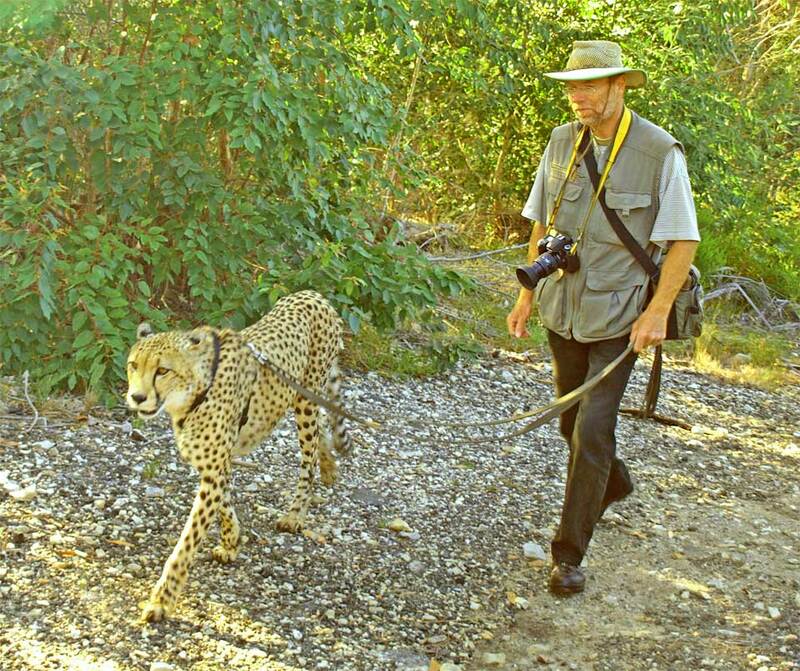 In morning and evening the cheetahs are walked and you are able to walk along with the cats through their territory. Be aware of that the cat doesn’t walk with you, you are able to walk along with the cat on its way. 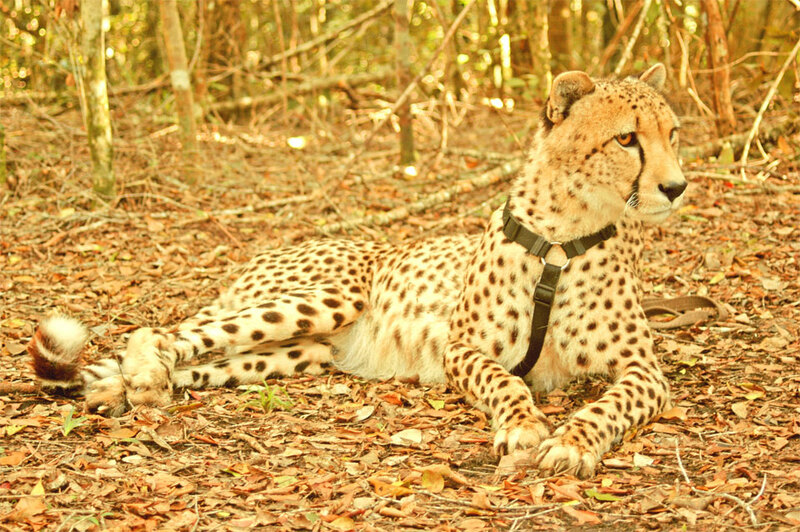 Although the cheetah wear a harness and a leading line is liked, the cat does its own thing and we are only a companion on its way. 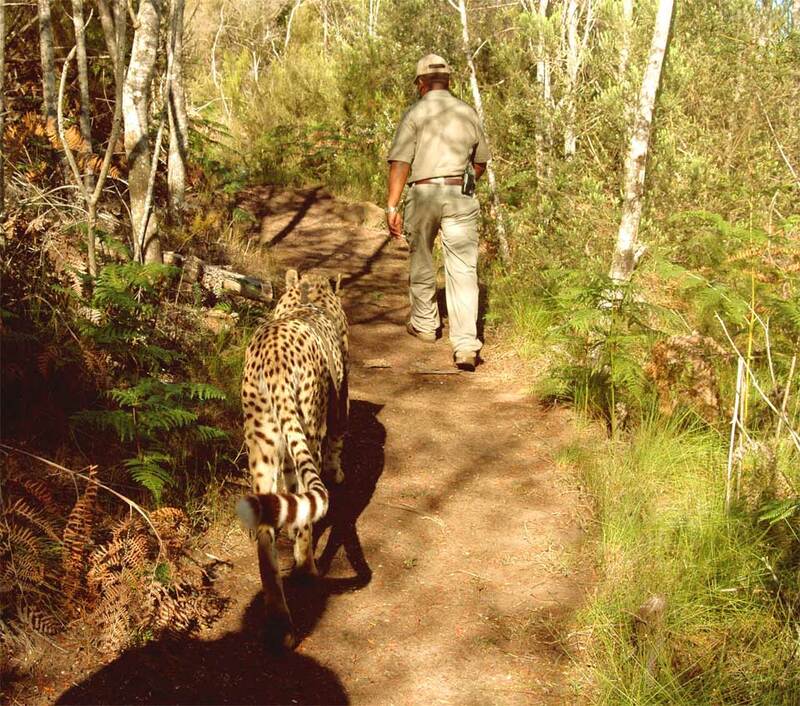 You will be escorted by two guides from Tenikwa during the time the cheetah patrolled through its territory. 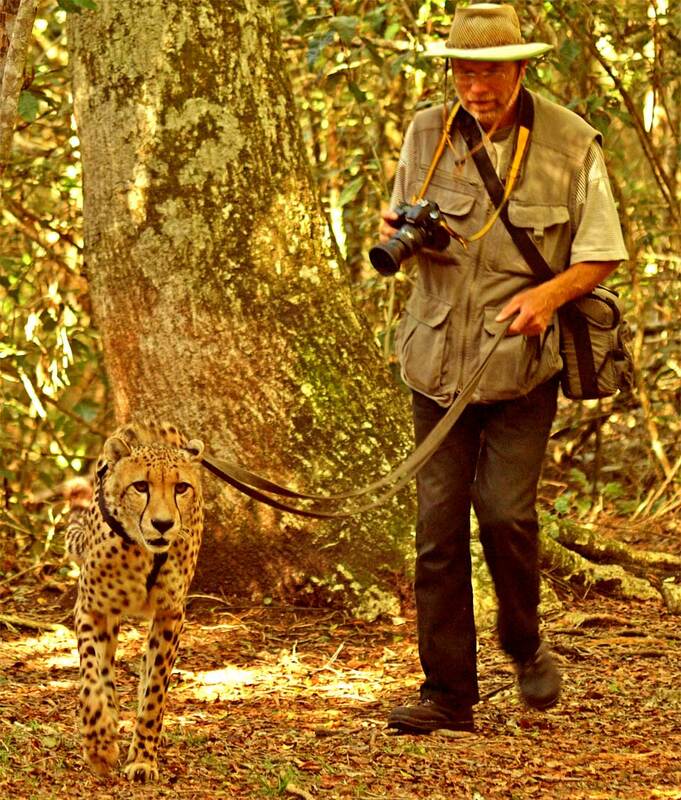 Usually the walk takes place at a leisurely pace and you find enough time to make pictures and stroke the cheetahs. It is quiet an impressive experience to walk with such a big cat shoulder to shoulder through the forest. Long trousers and proper footwear are advisable and refrain from wearing cloth with shrill colours. 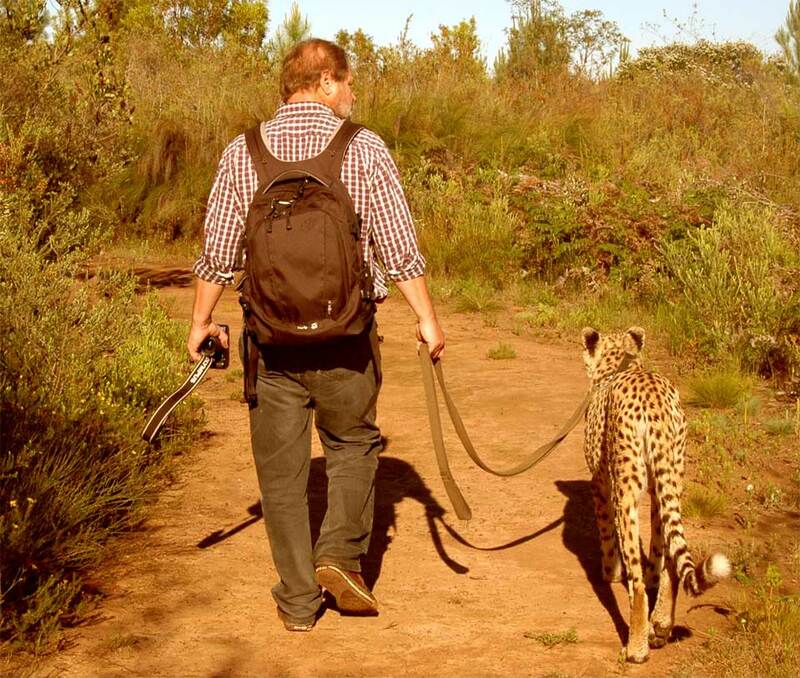 At the beginning of our walk we were tensed up a bit, but we cooled quick down as the walk carries on and we noticed that the cheetah was very relaxed and tolerate us at his shoulder or better ignore us more or less. Enjoy a wonderful time at Tenikwa with the cats. I’m looking forward to meet you one day…, here at Tenikwa. To get a stroke is very important, that’s why I lay down from time to time…, it works very well. Here you are able to see how well it works with my camouflage of my fur. In open space it works the same. I would be reaching with 6 years my probably lifespan in the wildness. They take care of me at Tenikwa and I can reach 20 years of age. Every day I can show new visitors my territory and what a real cat should be. Normally I lead the pack, but sometimes the guide knows a better way and he guide us. 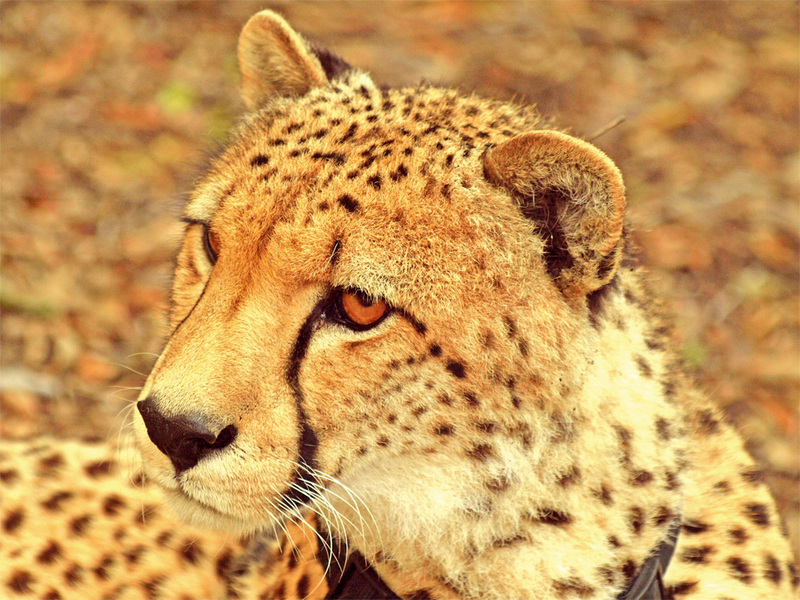 I’m a Cheetah male and 6 years old in the year 2013.